On November 15, 2018, the Council on Legal Education Opportunity, Inc. (CLEO) hosted the CLEO Edge Awards Gala in Washington, D.C. — one of several events held to celebrate the 50th anniversary of the organization. Buchanan sponsored the event which was attended by Amy Miller, Michael Strazzella, and Dani Rosetti. Our client AccessLex was also a sponsor of the event. 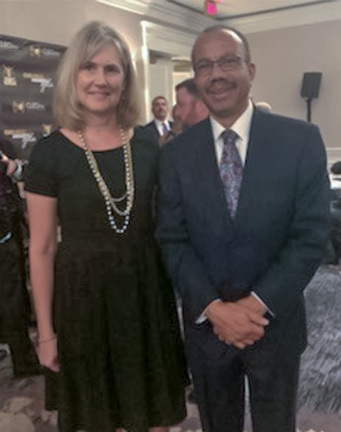 Amy Miller is pictured below with John Murdock, Chair of the National Association of Minority and Women Owned Law Firms (NAMWOLF).